India’s largest crowdfunding site. Over Rs.549.04 Crores raised. 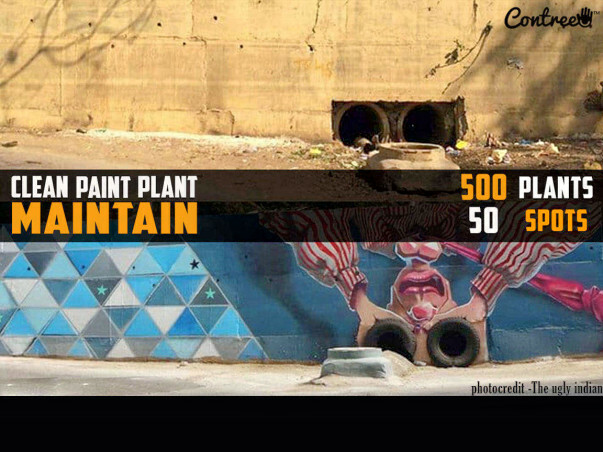 1) 50 Clean, aesthetically painted and maintained public places. Encouraging others to follow. 2) At least 300 surviving plants adding to the greenery and beauty of the city. 3) Behavioural change and consistency towards active contribution among 500 local citizens. They shall further encourage more people to become socially conscious. Contree Foundation is a citizen-oriented social start-up which has made cleanliness efforts in Jaipur city. We succeeded in engaging local citizens in the cleaning of public places like roadsides, railway under bridges, flyovers' side lanes etc. Even though we could clean public spots, we realised that they get filthy and urinated again in the absence of proper deterrence and maintenance. Additionally, the behaviour of citizens has to improve towards maintaining their public places instead of littering, spitting or urinating on them. Similarly, in the scorching summer heat, everyone wishes for greener public places. Some of them even plant saplings but fail to take proper care or water them regularly. Hence, we designed a project which attempts to address all abovementioned challenges. 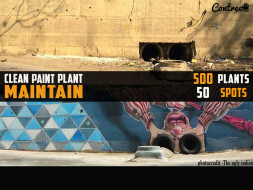 Contree Foundation shall facilitate 500 citizens in cleaning and painting 50 public spots in Jaipur city along with planting 500 saplings at these cleaned and painted public spots. In order to ensure the impact of the project, these 50 public spots and 500 saplings shall be maintained for a minimum duration of 6 months. Cleanliness tools, gloves and masks, drip irrigation systems, paints & colours, pots for saplings shall cost Rs 2,50,000 for above-mentioned numbers. Contree Foundation shall bear the additional cost of Rs.1,50,000 for outreach, coordination, social media campaign and other logistics. NOTE: We are in process to acquire a 80G certificate. We shall issue the same to you as soon as we get one, in this financial year only. We humbly request you to contribute your bit to help us achieve our social objective. As this is a state-of-art initiative, one successfully implemented project will trigger numerous other collective development efforts and promote Community Services in India.